All our partner sites are independently reviewed by our team of industry experts. We examine 10 different criteria and award a score out of 10 for each, adding up to a final mark out of 100. You can read a full description of our Spinit Casino review process here. 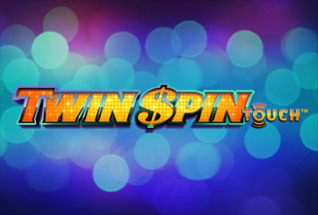 Spinit Casino received a score of 86/100. “Dare to win it!” is the Spinit Casino tag line calling out to all those dreaming of massive jackpot wins on their favourite slot games. And if slots are your bag, then this could well be the casino for you. Under the fun, light-hearted exterior is a site with a serious slots concern. 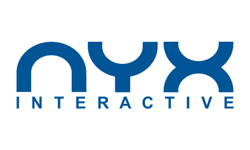 Titles from the likes of software giants NetEnt and Microgaming rub shoulders with more from Play n Go, Evolution and Nyx in a bright and inviting games lobby. Spinit Casino launched in 2016 and is owned by Genesis Global Ltd (owners also of Casino Cruise) and licensed from Malta and the UK. They say that their intention is to leave you smiling from ear to ear – perhaps that’s why they offer a £1,000 welcome bonus package to get you started! But that’s not all – alongside the generous first deposit offers and plethora of exciting slot games, Spinit Casino also offer some great promotions for regular players, including a tasty VIP program and lots of free spins and reload bonuses. Sounds fun? Dive in right now, or read on for a full review of all Spinit has to offer. Looking for somewhere else to play? Try our listings of new slot sites. First up, Spinit have put together a very generous welcome package for all new comers. With your first deposit you can grab a 100% match bonus, up to a maximum of £200. 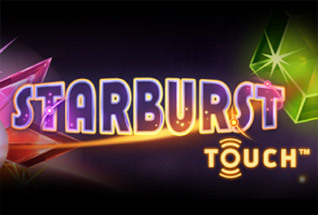 Plus you’ll get a further 200 free spins to play on NetEnt’s Starburst Slots. Your free spins will be credited in batches of 20 over 10 days after making your deposit. Note that any winnings from Free Spins are credited as bonus money and must be wagered 40 times before they can be withdrawn. 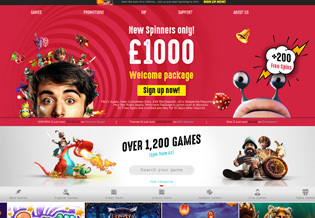 Winnings from free spins are also capped at £200. Following your first deposit bonus you can also pick up more from your 2nd, 3rd and 4th deposits. So get 50% up to £200 on your second deposit, and 25% up to £300 on your third and fourth deposits. In each case the minimum deposit to qualify for the bonus is £10 and the wagering requirements for your bonus money are x40. Additionally, Neteller or Skrill depositors are not eligible for the bonus. And whilst your video slot play will always contribute 100% to meeting any wagering requirements, play on Table games (including Blackjack) will only contribute 10%, and video poker, just 5%. If you’re a slots fanatic, then Spinit Casino should certainly be on your radar. Genesis Global have put together a really exciting selection of game titles to keep you entertained. NetEnt’s video slots are a massive draw here, with the usual suspects appearing high up the game menu – Starburst™ Slots, where you’ll play out your welcome offer free spins, is a great place to start, but you’ll be equally satisfied with a spin on Gonzo’s Quest, Spinata Grande, Theme Park, and the Fairyale Legends Series. Meanwhile, for Microgaming fans, new titles like Candy Dreams and Forbidden Throne are available, as are classics Immortal Romance and Tarzan Online Slot. And, of course, Thunderstruck 2 and Lost Vegas. 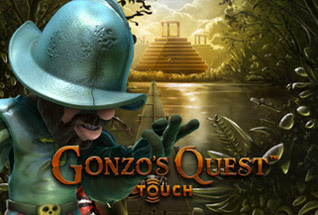 There is also a selection of Nyx Games – including Gorilla Go Wild and Foxin Wins and Foxin Wins Again, as well as Play n Go games like Aztec Warrior Princess and Riches of Ra. For progressive jackpot fans, the two Mega monsters – Mega Moolah and Mega Fortunes are here – as well as favourites Tunnza Munni and LotsaLoot. 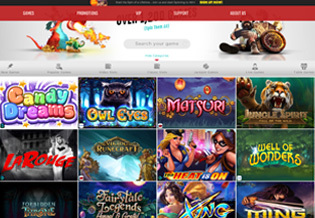 So, for slots fans this site has a huge amount to offer. But table game players need not feel left out either. Under the table games tab there are many versions of Roulette and Blacjack, including Roulette Master, French, European and American Roulette. There’s also PaiGow Poker, Baccarat and Punto Banco. So far, so good then – a whopping sign up offer and a big, big game selection with all the leading names in there. Next up, promotions and rewards. Spinit Casino follow up their big bonus package for new players with offers for regular customers. So, you can pick up a 25% reload bonus each week in the We Love Mondays promotion for deposit of £20 or more – capped at a pretty decent £200. And then, on Wednesday there is a Spinners Choice promotions which gives you free spins and reloads on the chosen Game of the Week. Spinit will also send you regular emails and SMS texts with tailored offers suited to your own gameplay. And for the serious slots spinners, the high rollers, there is a VIP program offered with a bespoke personal service that includes weekend promotions, birthday bonuses, exclusive bonus plans, cashback, anniversary gifts, and entry to monthly VIP prize draws. At Spinit there are eighteen live dealer games to choose from. They include Roulette (Immersive, European, European VIP, French, Turkish, Double Ball, Dragonara, and Auto-Roulette), and Blackjack (Blackjack Party, Blackjack, and Blackjack VIP). If you need some assistance at any time from the team at Spinit Casino, you can contact them via email, live chat, or telephone. Spinit Casino offer a wide selection of payment options, with Paypal being the only significant omission. So Visa, Mastercard, Maestro, Solo and Switch are available for debit and credit card, and alternative methods including Truslty, Neteller, Zimpler, Euteller and Skrilla are also options. The minimum and maximum amounts you can deposit are £10 and £5,000 respectively, while the most you can withdraw is £5,500 per week and £22,000 per month. Withdrawal processing for credit cards, debit cards, and bank transfers takes three to four working days, and cash-outs to e-wallets are processed instantly. There are no cashier charges for deposits or withdrawals. Spinit is as it should be – all about Fun with a capital ‘F’. So the style, colors and messages all have a buzz about them. You’ll find your way around the website easily and before you’ve signed up you can browse the entire game catalogue from the home page. And most importantly, the functions of account, cashier, games and customer support are all within easy reach wherever you are on the site. There’s no need to download a dedicated mobile app to be able to play your favourite games. Just visit the Spinit website on your smartphone or tablet, and you’ll be able to enjoy the same high-quality playing experience from the palm of your hand. Spinit is licensed and regulated by the Malta Gaming Authority and the UK Gambling Commission. SSL encryption is used for all data exchanges, and the casino is verified on a regular basis by the Gaming Authority.